Ryton 5 is our flagship race and a favourite on the Warwickshire Road Race League calendar. 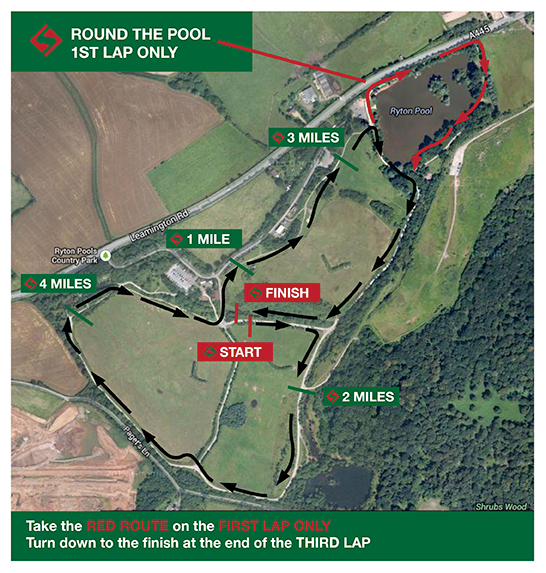 Organised by the club, the race route is based entirely within the confines of the beautiful Ryton Pools Country Park in Warwickshire. As a result, as well as an accurately measured fast course, runners are treated to spectacular views of the pools and local wildlife. The five-mile race is off-road on mainly flat paths that surround Ryton Pools. The route takes in two large and one small lap of the pools in the park. Don’t worry about getting lost – you will be guided (and encouraged) around the course by our enthusiastic marshals! 2018’s race was held on Thursday 24th May. The inaugural Ryton 5 race was held in 2014, where 226 athletes completed the five-mile course. The race was designed and created with the view to give local club runners a chance to race in a new environment at a relatively low cost. It was, and remains, the club’s intention to create a no-frills race, in order to make it accessible as possible for those wanting to race. The course was designed by club members, along with Ray Morgan, Alan Edwards and Stewart Harris; all well-known figures in Warwickshire Athletics. Since 2014, the numbers of runners taking part has increased with 316 finishers in 2017. Click year to view. Each opens in a new tab as a PDF. I went along to a Monday night club run. A very warm welcome. No it didn’t matter that I had no idea what I was doing, everyone was so reassuring that I wouldn’t be left lost and alone.